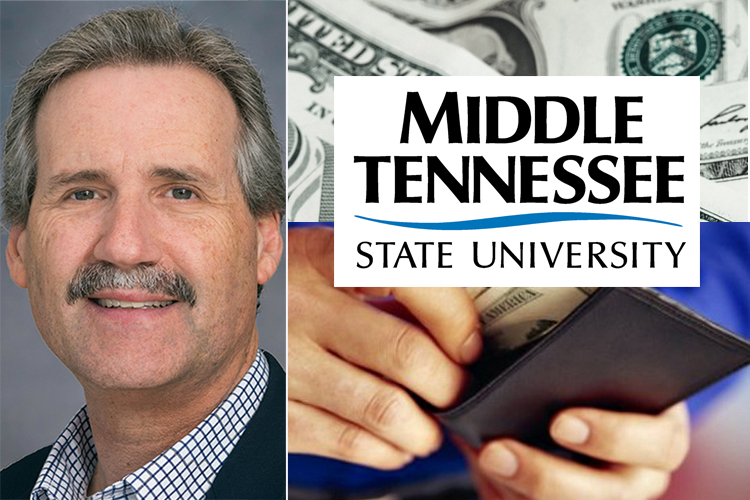 Public invited to hear F. Lee ..
MTSU’s most recent statewide survey of consumers indicates a fading economic outlook amid uncertainty about tariffs and economic pace, but one that remains positive overall, especially in the Midstate. The Tennessee Consumer Outlook Index dropped to 199 from 238 in June, according to the Office of Consumer Research in the Jennings A. Jones College of Business. The survey measures consumer opinions on a variety of economic topics, from job security to savings and investments to future purchasing plans. The declines reflect varying trends across the state: Consumers in West Tennessee saw the largest drop in outlook, followed by those in East Tennessee. Meanwhile, consumers in Middle Tennessee saw improvements in outlook. Graeff emphasized that the recent drops in outlook shouldn’t be interpreted “as a warning of significant reductions in consumer activity.” Tennessee consumers remain positive about the economy, albeit less positive than six months ago, he added. “For the most part, Tennessee consumers feel President Donald Trump’s economic policies have had a positive effect on the overall U.S. economy, with perceptions of those policies on the economy are relatively consistent across the three regions of the state. However, such perceptions vary widely based on consumers’ political affiliation,” Graeff noted. The current online survey of 630 random Tennessee consumers was conducted between Sept. 4-17 and has a 4 percent margin of error. View the full results from the latest survey at http://bit.ly/MT-COS-f18. • Graeff notes that the outlook declines come at a time when gross domestic product, or GDP, is growing, the stock market is reaching record highs, confidence among small business owners is at its highest level ever, and significant gains are being made in the job market.